There will be no school or Saturday Tutorials on Friday, April 19th and Saturday, April 20th due to Good Friday. 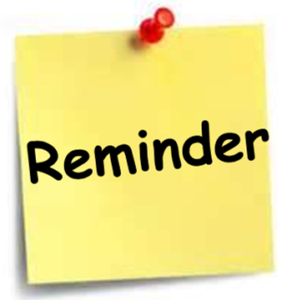 Classes will resume on Monday, April 22nd at 7:55 a.m.
Mark your calendar! STAAR Testing and Field Trips are coming up next week. Please make sure that your student gets a good night sleep and gets a hearty breakfast. Make sure that your student arrives to school on time to avoid any testing delays. The school is a CLOSED CAMPUS on testing days. Visitors will not be allowed into the campus until testing is completed. All after school activities (clubs & tutorials) are cancelled on Tuesday, April 9th and Wednesday, April 10th due to STAAR Testing and Field Trips. All activities will resume on Thursday, April 11th. We would like to invite you to our 8th-grade transition night at the HSA Houston High School to meet with your 9th-grade teachers. The program will be in the high school cafeteria and will start at 4:00 pm on Thursday, April 11th. Harmony’s South-West STEM Fair will be held on April 13th from 8:00am – 12:00pm at Central Office. We are looking for judges. Register to be a judge here. You’re invited to an important meeting about HSI’s Washington, D.C. trip on march 26th, 2019 at 6:00 p.m. in the cafeteria. This is a brief meeting for both parents and students. The trip will take place June 13th, 2020 – June 16th, 2020. Parents who attend the meeting will receive a promo code to save $100 off their trip price. The 8th Grade Cap & Gown is now available for order at the front office via check, money order or check. Each graduation package includes: Black Cap & Gown and Graduation shirt. The cost for the package is $25. The deadline to order yours is April 5th. Harmony students have the power to make a positive impact on the lives of blood cancer patients! Harmony has joined more than 550 other schools across the Texas Gulf Coast in The Leukemia & Lymphoma Society’s (LLS) Pennies for Patients Program. Harmony students will raise funds to support LLS’s mission: to cure leukemia, lymphoma, Hodgkin’s disease, and myeloma and to improve the quality of life for patients and their families. We want to thank you in advance for helping patients with blood cancers live better, longer lives! HARMONY’s Goal This Year is $1,500! Let’s do this Tigers! We would like to offer Computer and English courses for our HSI-Houston parents with no any fee. If you are interested in please enroll yourself as soon as possible and take this survey below by March 31, 201. If you have any questions or for more information please contact Ms. Nunez by 713 541 3030. Nos gustaría ofrecer cursos de Computación e Inglés para nuestros padres de HSI-Houston sin ningún cargo. Si está interesado, inscríbase lo antes posible y responda esta encuesta antes del 31 de Marzo de 2019. Si tiene alguna pregunta o para obtener más información, comuníquese con Mrs. Núñez al 713 541 3030. The deadline to purchase your copy of the 8th Grade Memory Book has been extended to April 12th. In order to better serve your children, Harmony Science Academy District would like to identify families and out-of-school youth who are agricultural or fishing workers and who may qualify to receive additional educational services. The information provided will be kept confidential. Please answer the following survey questions for your child’s school. If you have more than one child attending Harmony, a survey will need to be submitted for each child. Please submit your survey(s) by Friday, March 22nd. Thank you for your participation. Para mejorar los servicios educativos de sus hijos, el distrito escolar Harmony Science Academy quisiera identificar a familias y jóvenes fuera de la escuela que trabajan en agricultura o pesca y que pueden calificar para recibir servicios educativos adicionales. Toda la información proporcionada se mantendrá de forma confidencial. Favor de responder a las siguientes preguntas de encuesta para la escuela de su hijo(a). Llene una encuesta por estudiante. (Ejemplo: Si tiene 2 estudiantes en Harmony, llene la encuesta 2 veces). Porfavor complete su encuesta(as) antes de el viernes 22 de Marzo. Gracias por su participación. Don’t forget to spring forward an hour at 2:00AM this Sunday. When you change your clock ⏰, it’s a great idea to change the batteries 🔋 in your smoke alarms! https://harmonypublicschools.network/hsihouston-new/wp-content/uploads/sites/136/2019/03/alarm-clock-1.png 488 500 Central Office https://harmonypublicschools.network/hsihouston-new/wp-content/uploads/sites/136/2017/10/HSI-Houston-WHITE-letters-300px.png Central Office2019-03-08 10:58:362019-03-08 11:06:58Spring Forward! Keep in mind that some teachers have scheduled extra tutorial sessions. If you have any questions in regards to your child’s sessions, please contact your student’s teacher via email. Please be advised there will be no school Monday, March 11th through Friday, March 15th due to Spring Break. We hope you have a safe and wonderful break. Classes will resume on Monday, March 18th at 7:55 a.m.